Walt Disney World is a vacation that some families see as a once in a lifetime trip. When friends and acquaintances find out how often we travel to Disney, one of the first questions they ask is how can we afford it. Disney doesn't have to break the bank. 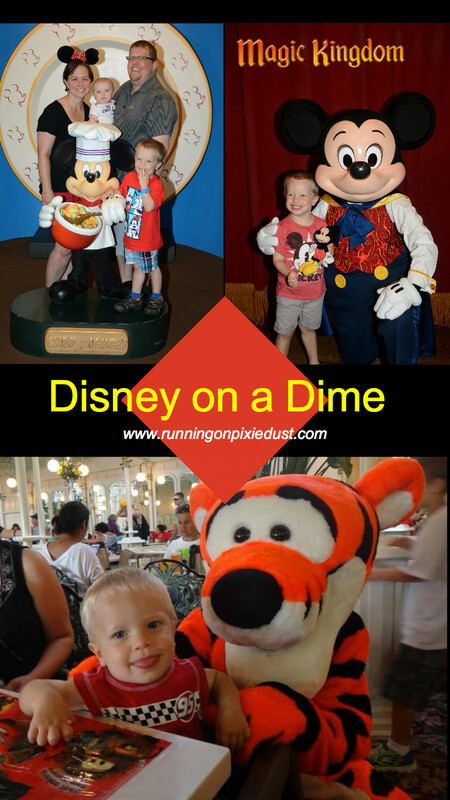 Here are some of my favorite money saving tips we use when planning our Disney trips. Buying Gift Cards at Target (or Costco, or Sam's Club, etc.) - There are a number of stores that offer Disney Gift Cards at a discounted price. For example, you can save 5% off of Disney Gift Cards by using your Target Red Card. That $1000 worth of gift cards will end up costing you only $950. And if you purchase your gift cards online and use Ebates, you can earn $20 in cash back to your Ebates account. Weigh the pros and cons of staying off property - Staying at a hotel off property can often be significantly cheaper then staying on property. But remember to add in hidden costs when you consider this option - resort fees, parking costs, transportation to and from the airport and parks, etc. Since we have a lot of Hilton points, we've been staying recently at the Hilton Orlando Bonnet Creek for free. And you can't beat free! Book Character Breakfasts instead of Character Dinners - Character meals are a must do for most families in Walt Disney World. Many character meals offer the same characters at all three meals, but breakfast can be significantly cheaper. It's a great way to still get that enjoyable character experience without the extra strain on your wallet. Skip the ticket extras - Park Hoppers and Water Park tickets can be fun, but really aren't necessary on your vacation. You can easily plan your vacation and squeeze in lots of family fun without the need to hit multiple parks in one day. And with resort pools boasting amazing water areas, you probably won't even miss the water parks. Skipping these options will save you hundreds of dollars off of park tickets. Pack your own snacks - Walt Disney World allows you to bring in your own food and drinks to use for the day. We often pack an extra suitcase with food and snacks from home and then order some fresh fruit and drinks from an online grocery service like Garden Grocer. Packing a bag with our own food is an easy way to save on the expense of eating in the parks.